A little over a month ago, I moved back home. Not into the house where I grew up, because it’s been torn down. Not into the suburban town where I was raised, because it’s crowded with young families, and my husband and I are now empty nesters looking for a more urban life. But I moved back to Cambridge, Mass., where I went to middle and high schools, waiting every afternoon at a bus stop a few blocks from our new home, hanging out with friends in Harvard Square, a fifteen-minute stroll from our current place. A slim number of the shops there are as they were thirty-five years ago when I left. People complain that the Square looks like a conventional mall now, but at least the streets are the same—still torn up with constant construction—and I’m happy to report that the handsome Cambridge houses are in better shape than in the late seventies and early eighties. As I take in these familiar surroundings, I’m awash in an ever-shifting haze of recognition: I know this place, I keep thinking. I know it. And yet, it’s strangely new to me as well. I’ve moved over a half dozen times as an adult, each time for my husband’s work. He’s an art museum curator, now a director, and in his business, moving is pretty routine. But every time we left a home and friends, it’s been heart-wrenching. And yet I agreed to do it, and often was the one to nudge us forward, not because I was unhappy where we were, but because I was curious about the next place. I have needed distinct chapters in my life to keep things interesting. Curiosity has propelled me forward into each new city. I think it’s fair to say that curiosity is crucial in a writer. Curiosity and empathy. Together they allow writers to go into the minds and worlds of others—their characters, of course, but first the people in our lives we come to know and love. I have put down roots in each city where we’ve lived and while those connections can wither if not tended to, they’ve nourished me and spread a wide and luxurious canopy over my life. I’m grateful for the friends I’ve made and held onto over decades. Somehow this brings me around to thoughts of my heritage, my people. My grandparents, the missionaries in China, clearly chose a challenging path that took them far from their original homes. Their lives, though, were rich and, it seems, rarely boring. They made friends with the Chinese in the western plains of North China while also remaining loyal to the folks back home. In the Victorian tradition, they signed each letter to their stateside family members with heart-felt longings. They missed the familiar world they had left behind, but not enough to return to it. I remember my mother each year sending out stacks of Christmas cards to friends that she and my father had accumulated over the course of their lives. They, like my husband and I, had lived in a number of places, but also my father’s work had propelled them to take extended trips in Asia where they made more lifelong connections. Her handwritten notes—some stretching into several pages—offered not the perfunctory printed reports that accompany Christmas cards these days, (when people even send them at all), but personal letters. Real letters to help keep her and my father tethered to their pasts. That tethering is also crucial for a writer: we have to know whence we came in order to understand and write about where we are now. For years as a younger writer, I wrote novels inspired by the chapter of my life I had just completed. For instance, when I lived in Richmond, Virginia, and finally put our second child into kindergarten and returned to my desk, I wrote a novel set in West Philadelphia, the city we had lived in before moving south to Richmond. I needed to go back and digest that previous place by writing about it. In West Philly, I had written about New York City, where we had lived just before that. And in New York City, I wrote a coming-of-age story set in Cambridge, because that was the world I had recently left behind. In each case, I was using my memory of a previous home to fuel a fictional story in that setting: each novel helped me make sense of an earlier chapter so I could let it go and move on. Now that I have come full circle back to Cambridge, I’ll be curious to see how it filters into my work. I can already tell that I have a strong sense of belonging here, something I had to cultivate over time in other cities where I’ve lived. In Cambridge, I take it for granted that I “get” the culture and that people here will “get” me, though that remains to be seen. But as I walk my dog in Mt. Auburn Cemetery, I first pay a visit to my parents’ graves. I live less than a mile away from them now. Having lived apart from them my entire adult life, the sad irony of moving back after they’re gone pinches and hurts. But there’s also a sense of ease and comfort in being back. Though I’ve been loath to admit it, I’m pretty sure this might be my true home. And, although it’s familiar, plenty of surprises still await me here; my curiosity will be rewarded by altogether new sights and experiences, and most of all, people. So far, the crazy moments of recognition are what thrill me. The other evening, my husband and I were going to a museum event downtown at the Boston Athenaeum, a venerable historic library and art collection in a handsome building on Beacon Street. Just out college, when I worked nearby at Little, Brown & Company, I used to take my lunch hours in the Athenaeum’s main reading room. On this recent evening, I was curious to see if I still remembered it. But as we approached, I looked at the imposing building next door to the Athenaeum and was knocked back on my heels: at 14 Beacon Street stands Congregational House, the home of the Congregational Library. When I was a twenty-year-old I had never noticed it, or if had, I doubt I would have known what it meant to my family. But in the years since, and especially while researching my two novels, I have read my grandparents’ papers and learned that 14 Beacon Street was the home address in the United States for Congregational missionaries abroad. This was the office where my grandfather sent his reports and letters written on onionskin paper in faded blue ink. These were the stone steps my father had climbed as boy when he arrived on leave from China. This was our family’s home base in the United States for those many years when they lived far, far away. And now this city is mine again, and perhaps always was, and will be, even if another move awaits me in the future. 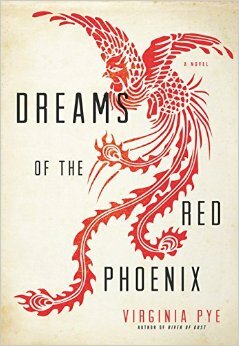 Virginia Pye’s second novel, Dreams of the Red Phoenix, will be published on October 13, 2015. Author Gish Jen has called it, “Gripping, convincing, and heartbreaking…a real page-turner and thought-provoker—wonderful.” Kirkus writes: “There’s a comparison to Ballard’s Empire of the Sun, but this unflinching look…shares truth in its own way.” Her debut novel, River of Dust, was published in 2013 by Unbridled Books and was chosen as an Indie Next Pick and as a 2014 Virginia Literary Awards Finalist. 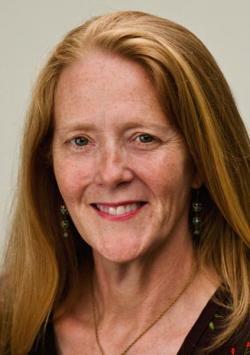 Virginia has published award-winning short stories in literary magazines, and her essays and interviews have appeared in The New York Times Opinionator, The Rumpus, Huffington Post, and forthcoming in Literary Hub. She holds an MFA from Sarah Lawrence and has taught writing at New York University and the University of Pennsylvania. Since graduating from college, she has lived in Cambridge, Hartford, New York, Philadelphia, Richmond, and now, coming full circle, Cambridge again. I really enjoyed your thoughts on place and how your work has been impacted. It’s lovely to think of how writing about a place after you’ve left it can help you move on.